I don’t know about you guys, but my kiddos wake up early on the weekends. Last Saturday everyone was up by seven. It was too early to play outside or go anywhere, and I’d already said no to TV. 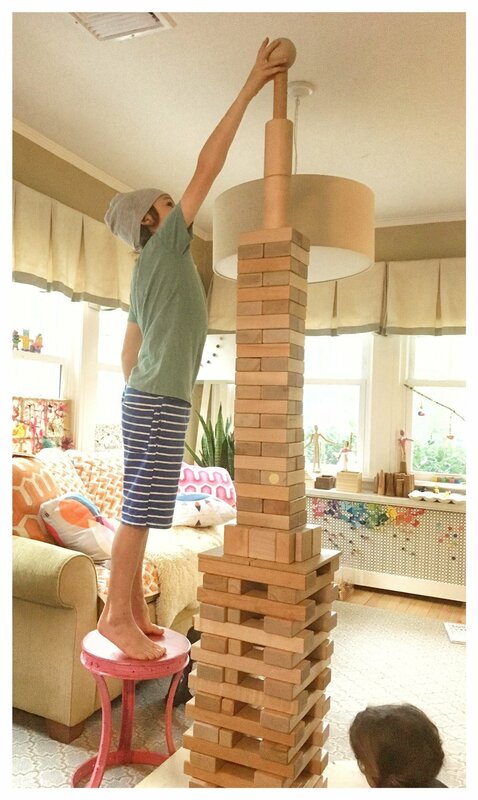 I wanted an activity that would be good for all three children (ages six, nine and eleven) and I really didn’t want to start my weekend with a big mess to deal with. I pulled out our Crayon Clay that was sent to us from The Pencil Grip and set up a tray of our favorite materials. I find that how you approach the set up of any invitation to create actually does matter. Doing a little bit of extra work on the front end really pays off. 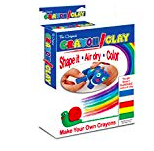 Sure, I could’ve just opened the box and given them the packets of clay, but then there would’ve been fighting and whining and lots of requests for help. Right away, Ruby (nine) knew that she wanted to mix the perfect shade of color. At first, she was frustrated. It took some time and string fingers to get that clay to blend. But when it did, it was so good. Sloane wanted to make a set of circle crayons for a friend. She rolled the clay and then cut out little circles of color. I think they turnout great! Nate made little a little snail crayon because he loved the idea that it could leave a trail of color. When they were finished creating, we left the shaped clay on the table to dry and off we went. It dried beautifully (took about 12 hours) and the children now have a new set of crayons!! This set is my new go-to birthday gift. It’s a great price point, and can be used by such a large range of ages. I am all stocked up! Click the images (affiliate links) below to find out where to get everything!! My little one is turning six today, and one of her favorite things is to pretend. 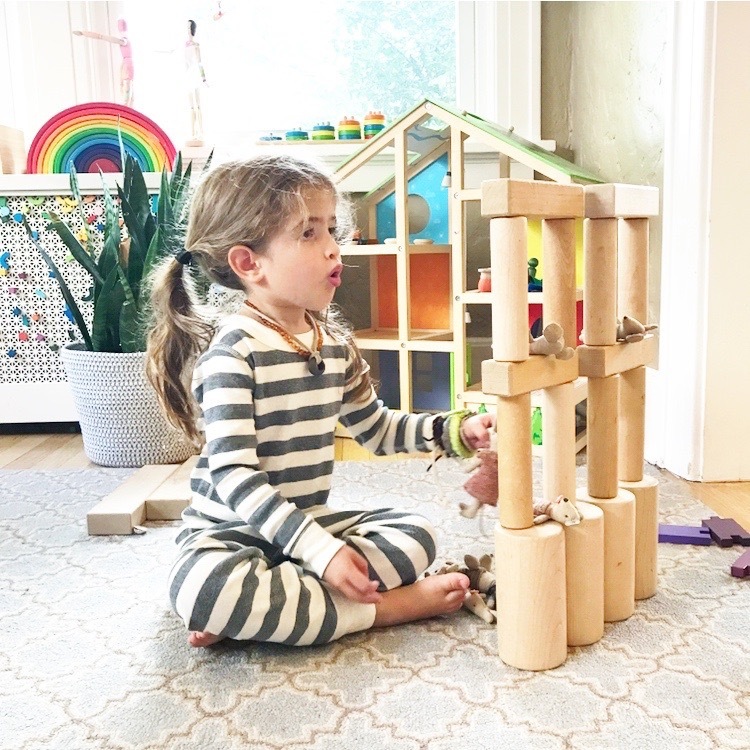 She loves to play with her favorite little peg people from Grimm’s Wooden Toys, Grapat, and Teeny Weeny Toys. She also loves to make her own people. We keep blank, unfinished peg dolls in our art cabinet along with lots of loose scraps for creating and new peg people are born into her collection weekly. Today I am heading into her Kindergarten class to share her love peg people and dollhouse play with her classmates. We are going to read a favorite book of ours, This Is My Dollhouse, by Giselle Potter. I adore this book because it explores the joy and creativity involved in creating your own play materials. It also explores friendships and feelings, which I love. After the book, the children will have the opportunity to create their own peg doll. I scoured the art supplies that I already had on hand and created the tinker trays you see here. I encourage you to use what you already have, but I have also listed all of the materials that we used at the bottom of this post. This project was inspired by my wonderful and brilliant friend, Bar Rucci. You can see her post here. Also, Sloane’s birthday party was held at our favorite local art studio, Oh Canary Art, where the children decorated dollhouses. You can read all about that party on my friend Natalie’s blog. Do you want to WOW your children? Make this simple Halloween play dough kit, and give them hours of seasonal, imaginative play. Sloane and I made this kit for her Kindergarten classroom, but she couldn’t resist a quick play with it at home first. We used our standby recipe, pictured here. Just mix it all up in a big old pot and cook over a low flame until it turns into play dough. We added orange coloring into the water. You could also add glitter or scent, but we like to keep things simple around here. We love these lidded containers for various DIY art-kids. 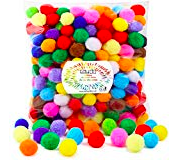 The spooky skeleton, glitter balls, googly eyes and chenille stems were all purchased at our dollar store, but I have linked similar materials below. This play dough lasts and lasts as long as you keep it sealed up tight in a plastic bag.